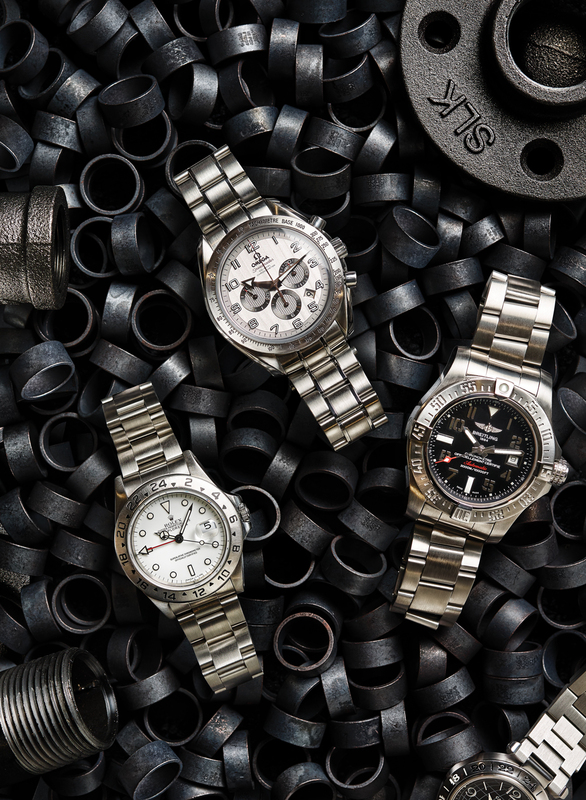 Until recently, there hasn’t been a reliable marketplace for preowned luxury watches. But Atlanta-based consignor Crown & Caliber is trying to fill that gap with a business model based on high-end car dealerships. Launched online in 2013 and lauded by Forbes and TechCrunch, Crown & Caliber recently opened an appointment-only showroom at its new headquarters in Sandy Springs, giving local customers a social experience rivaling that of a posh design house. 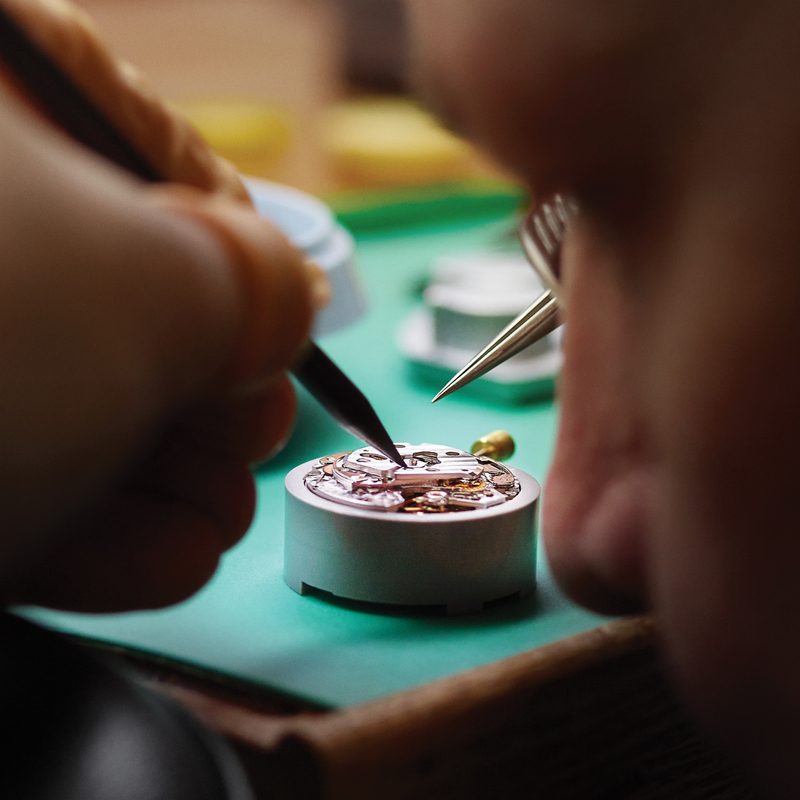 From this space, 11 Swiss-trained technicians in lab coats tinker with the timepieces to perfection, and buyers can chat with them about each intricate detail of the watches, from Cartier, Rolex, Omega, and nearly 50 other brands. Consignment prices start at around $1,000 and stretch into six figures; to date, the company has conducted more than 20,000 sales, mostly online. Crown & Caliber’s appointment-only showroom has more than 11 Swiss-trained timepiece technicians. 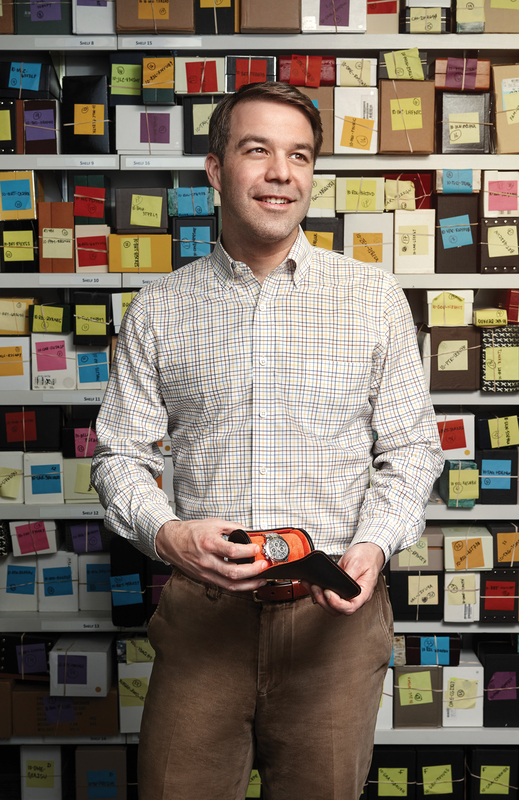 Founder Hamilton Powell got the idea for his company after watching a friend go through “a nightmare experience” trying to sell his Patek Philippe through Craigslist and eBay, where strangers asked him to transact with sketchy payment sites or unsafe locations for offers at a fraction of the value. “It got the wheels turning for me,” Powell says. “It’s either online spaces filled with spam, or lowball offers at brick-and-mortar shops.” The new headquarters, which includes high-security safes and a sunny workspace for the technicians, is also customer-friendly, with retro-fitted lounge chairs and deep wooden accent walls. This all adds to the clubhouse vibe Powell is creating, where shoppers can observe the craftsmanship of a $19,500 Audemars Piguet Gstaad Classic up close while enjoying a glass of Macallan or Laphroaig. “After all, scotch and watch are the perfect pair,” he says.